Quantum-dot cellular automata (QCA) as an emerging nanotechnology are envisioned to overcome the scaling and the heat dissipation issues of the current CMOS technology. In a QCA structure, information destruction plays an essential role in the overall heat dissipation, and in turn in the power consumption of the system. Therefore, reversible logic, which significantly controls the information flow of the system, is deemed suitable to achieve ultra-low-power structures. In order to benefit from the opportunities QCA and reversible logic provide, in this paper, we first review and implement prior reversible full-adder art in QCA. We then propose a novel reversible design based on three- and five-input majority gates, and a robust one-layer crossover scheme. The new full-adder significantly advances previous designs in terms of the optimization metrics, namely cell count, area, and delay. The proposed efficient full-adder is then used to design reversible ripple-carry adders (RCAs) with different sizes (i.e., 4, 8, and 16 bits). It is demonstrated that the new RCAs lead to 33% less garbage outputs, which can be essential in terms of lowering power consumption. 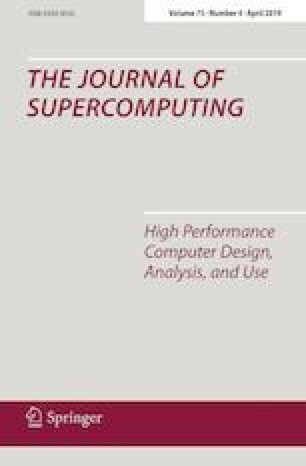 This along with the achieved improvements in area, complexity, and delay introduces an ultra-efficient reversible QCA adder that can be beneficial in developing future computer arithmetic circuits and architectures.